Tour Dates still available for Booking February/March 2018. 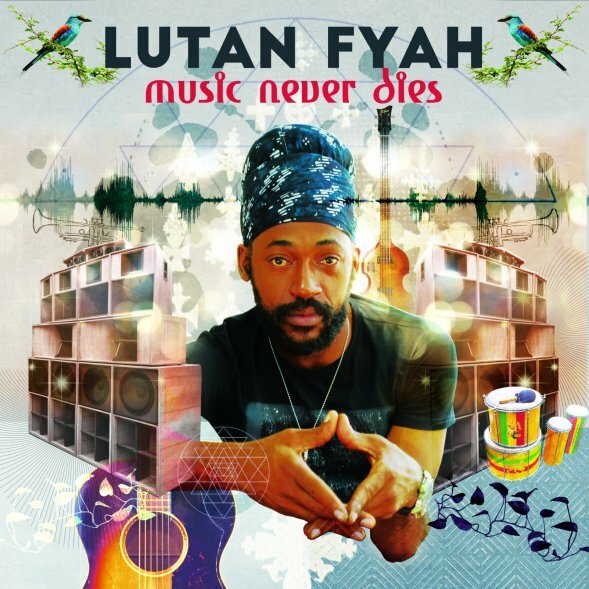 2017 has been the year of "Music Never Dies" for Lutan Fyah. 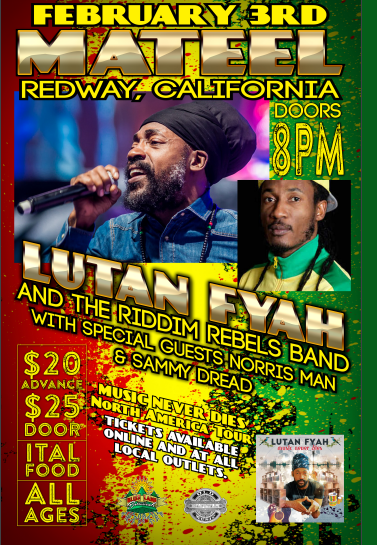 Promoting the album and headlining festivals & concerts such as Reggae On Th River (California), Boomtown Fair (UK) and Stepping High Festival in Jamaica. 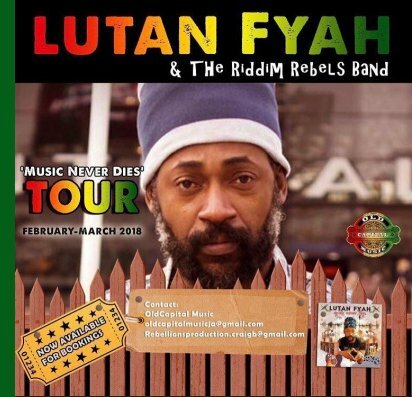 Jamaican Reggae Artist Lutan Fyah will be bringing his unique voice to the west coast USA next February. Born in Spanish Town, Saint Catherine Parish, Jamaica, Lutan studied Architecture at the University of Technology and played professional football for Constant Spring FC before focusing on music. Fyah also released several singles on various label from Jamaica, United States and the UK, and has also covered Dr. Dre songs and The Fugees. He has appeared on many compilation and featured in many other artists song releases. In 2009 Dubstep artist Rusko released Babylon Volume 2 including the track "Sound Guy Is My Target" featuring Fyah. Fyah has voiced a number of singles for Jah Warrior including Never Surrender My Faith, Let Righteousness Be Your Guide,Jah is living featuring Khalilah Rose and Crab Inna Barrel. Fyah has performed several times at the Upsaala Reggae Festival. His tenth studio album, Life of a King, was released in September 2013, and was followed by European and African tours. A concert from December 2013 to celebrate his birthday, featuring guests including Chezidek, Jah Mason, Fantan Mojah, Jah Cure, Gyptian, Sizzla, Ninjaman, and Popcaan, was recorded for DVD release. “Music Never Dies" Tour Dates still available for Booking February/March 2018. Website & Merchandise coming soon ! !